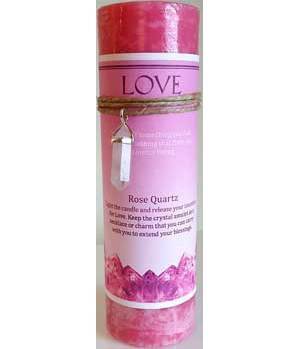 Love Pillar candle, with rose quartz crystal amulet charm. Hand made in the USA. 6 1/4" x 2". light candle and release your intention for Love. Keep the rose quartz crystal amulet as a necklace or charm that you can carry with you to extend your blessings.